Passbook wasn't specifically mentioned during the iOS 7 announcement at WWDC 2013, but it appears to be getting QR code scanning support on the new version of iOS. 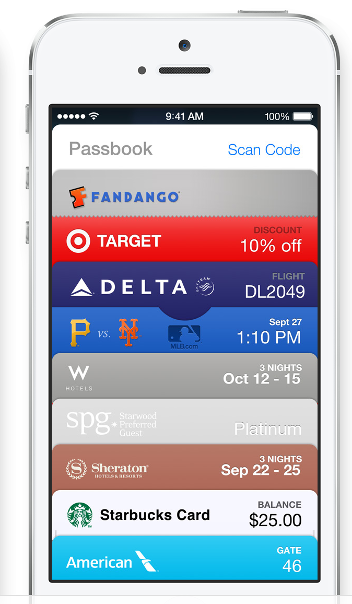 Seen here in this press shot from the iOS 7 portal at Apple.com, the stock Passbook card clearly shows a "Scan Code" option in the top right-hand corner. There doesn't seem to be any information specifically on this, but it would appear that Passbook passes will soon have the facility to be added by way of some form of QR code. Perhaps this will help drive adoption of Apple's digital wallet, but who knows. We'll no doubt find out more in the coming weeks and months.